So this is Christmas - 2015 style. December has been unusually busy for me, although miraculously, apart from one much coveted job which unfortunately clashed with another, everything somehow found its place and all the various pieces of work fitted together perfectly. 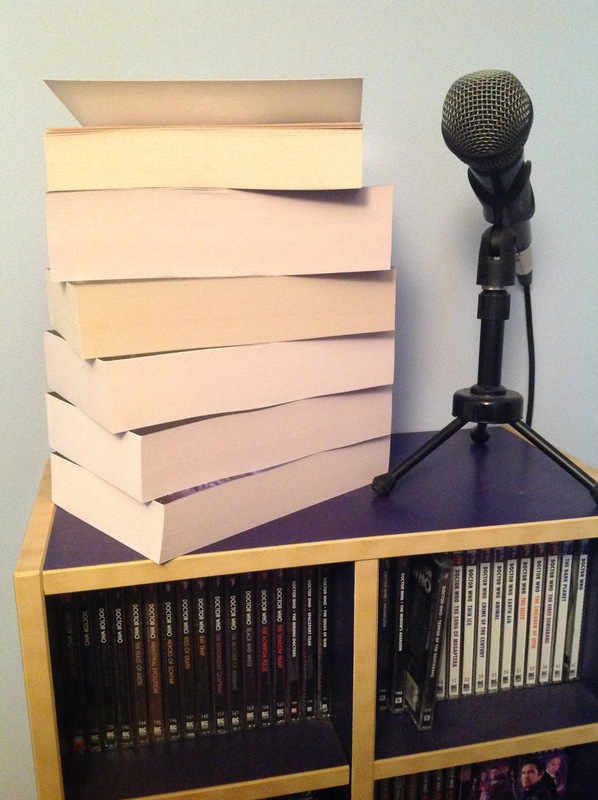 I've thoroughly enjoyed the challenge of this month's recording work, which includes six audio-books, four audio-dramas and a voice over for an educational project. In all honesty, I did initially wonder whether I'd bitten off more than I could chew, but with the supportive collaboration of some highly professional colleagues, it all worked out very well. I must particularly thank producer Niel Gardner, who helped me to record an audio book in three days rather than the scheduled five by suggesting we work all day till late at night and over a weekend - what a team! Most audio drama scripts and books are now usually sent to me online in pdf format rather than as printed texts. I then mark them up and read from my i-pad in the studio. Although I have been and will be working from pdf copies for this epic new series of fantasy audio books that Neil and I have embarked upon, the publisher has also sent paperback editions of the books. They arrived a couple of days ago in a small crate and without revealing details of what they are, I've posted a photo of them here. Seeing the actual books and appreciating in a physical sense the sheer volume of words to be recorded, let alone character voices to come up with, presents itself as a bit of a daunting prospect to say the least. The first book of the seven volume saga has been recorded (that's what we were doing in our very intensive three days in the studio) and will be released in February as far as I know. In addition to continuing with those books, there's also a book, drama and drama narration to prepare for Games Workshop. Think I'd better get on with some reading over the holidays! In the midlle of all this new year activity, there's Big Finish Day 8 which I'm very much looking forward to; if you plan to go along, do come and say 'hello'. In the meantime, thank you for stopping by this web site over the last year, your support is much appreciated. Wishing everyone a Merry Christmas, Happy Holidays and have a fantastic 2016! ...all for now, more just a s soon as it happens!